Ultrain, a public-blockchain technology venture, today announced its new partner, Chinese streetwear empire YOHO! – which will be launching an Ultrain-built blockchain sneaker traceability solution for their Unique Fashion Object trading platform. Sneakers are an essential part of popular culture in China, with consumers driving the growth of a multibillion-dollar industry. YOHO!, a leader in consumer experience that is highly aware of sneaker-lovers interests, launched an online sneaker trading platform called Unique Fashion Object (UFO) in 2018. Ultrain and YOHO! have now collaborated to deliver a blockchain-powered sneaker authenticity solution for the state-of-the-art UFO platform. As a sneaker collector himself, Li points out the key for sneaker trading is provenance. Each sneaker must be authentic if it is to have value on a secondary market, and a trading platform full of counterfeits would be highly detrimental to the industry. Ultrain and YOHO’s combined solution solves the authenticity issue at scale, making online trading of high-value collectible goods possible on a peer-to-peer market. YOHO! founded an independent appraisal team of eight experienced appraisers to authenticate individual sneakers, which are then labeled with an anti-counterfeiting tag. All sneaker-specific data, such as origin, chain of custody and authenticity is recorded by the tag and registered on Ultra’s public chain. End users can access a sneaker’s authenticity certificate and other details by scanning the tag with their mobile device – an elegant solution. Ultrain worked with YOHO! To develop and integrate the blockchain authenticity solution that is now live on the UFO platform. 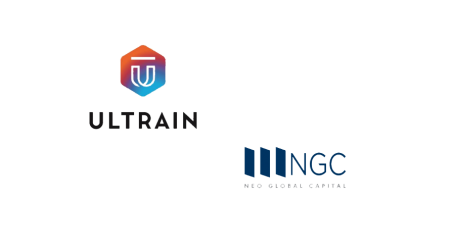 Ultrain has a wide range of available blockchain services and support for commercial clients, supported by an experienced technical team who connects blockchain technology with the mainstream business community via fully supported large-scale industrial applications.